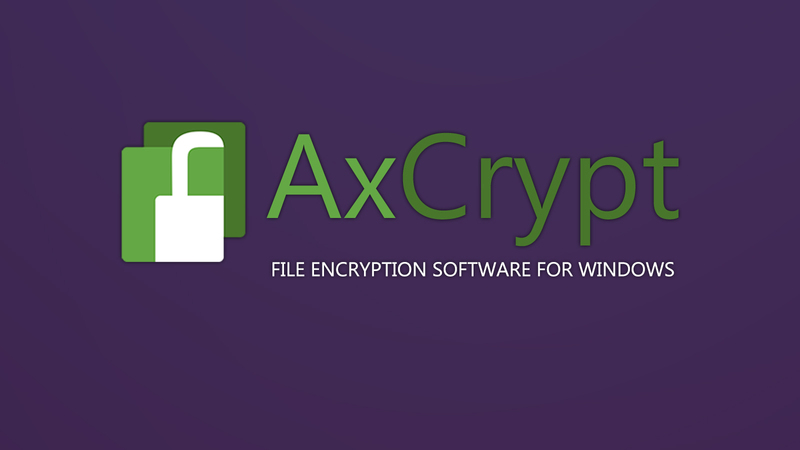 AxCrypt is an encryption software that provides AES-128/256 file encryption. It works on 32-bit and 64-bit versions of Windows 2008, Vista, 7, 8 and 10. Cloud storage awareness - AxCrypt will automatically find what Cloud Storage services are installed on your computer and create an AxCrypt folder there. Collaboration - Sharing a secured file is made directly from the AxCrypt software by choosing the secured file, click the share button and simply select the team member you want to share it to. The recipient just needs a free AxCrypt ID and will be automatically invited via email if necessary. The invitation email contains instructions on how to view and edit the file. Password management - You can store all your passwords and codes online in a secure manner using the password management feature. Secured folders - AxCrypt secures files, individually. However, you can designate folders as 'secured'. The folders will be monitored for new files, and AxCrypt will secure all new files with a single click, or when you sign out. You can also select multiple files, including all files in a folder, to be secured in a single operation. They still remain individual files, and the folder itself is not secured, just the files in it. Multilingual - AxCrypt supports English, Dutch, French, German, Italian, Korean, Portuguese, Spanish, Swedish, Turkish, and Russian. Lightweight - The windows version is only 6 MB. Fast download and uploads - Intelligent optional compression. Data integrity verification - Secured files cannot be modified without detection. Automatic File Updating - Automatic update of the secured file after open and save. Local device security - Shredding of all temporary and encrypted plain-text files. Large file support - Support for files larger than 4GB. Metadata retention - Retains original file name and information of a secured file. File Wipe - Safe removal of files. Brute force resistant - Dynamic brute force counter measure; iterative password wrapping making attacks even harder. Scripting enabled - Extensive command-line interface for scripting and programming. Open source - Open source under GNU General Public License. Support - User support via e-mail, forum and second level support via chat.